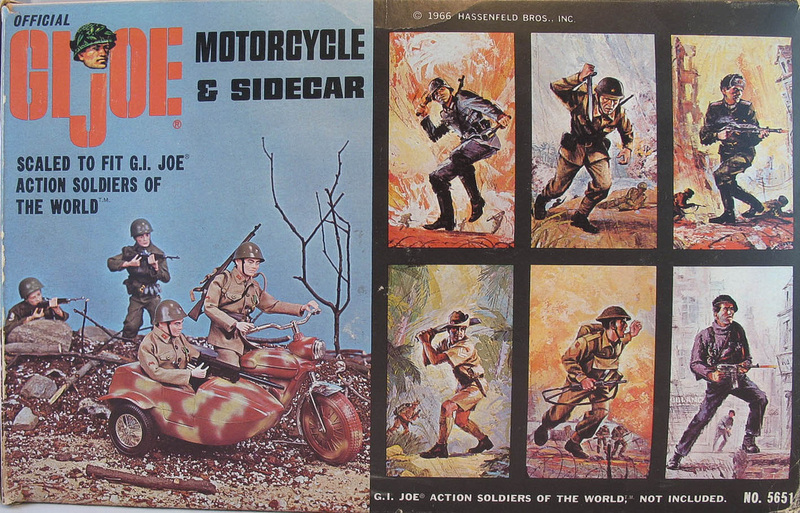 Two GI Joes go for a ride on their official Irwin Motorcycle and Sidecar (5651). 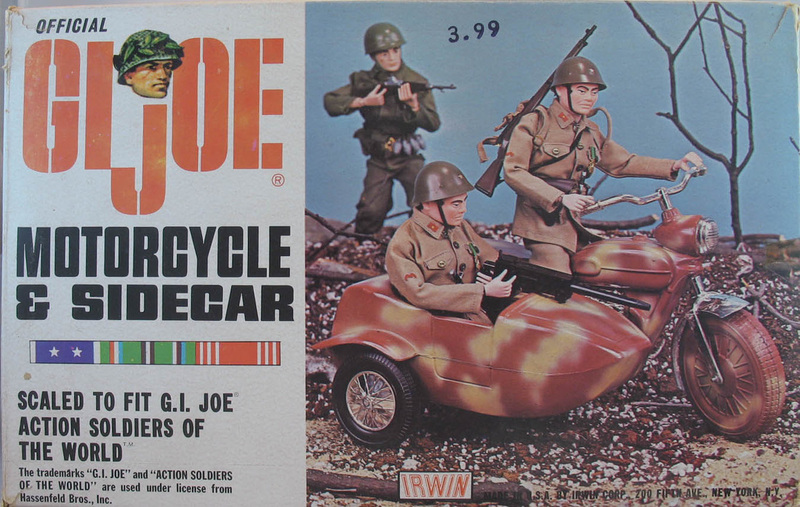 The Irwin vehicles were sold in plain brown mailing boxes through the Sears catalog, though at other retail stores some came in beautiful photo illustrated boxes like the version shown here. 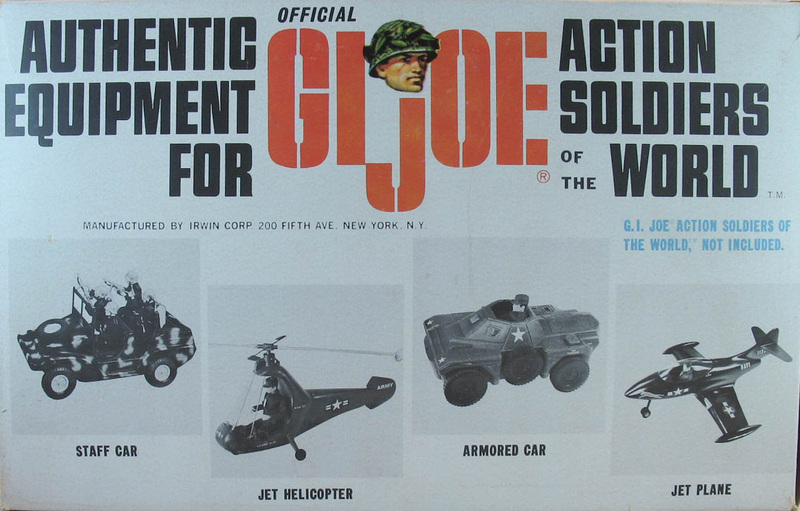 These emphasize the Soldiers of the World tie-in. 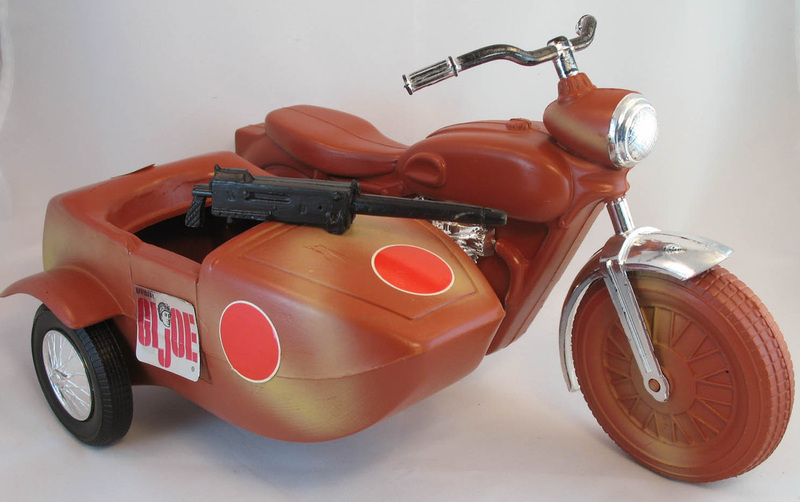 A loose bike with the Japanese stickers applied above, a sticker sheet with the Russian stars missing below. The same stickers were supplied with the Staff car so kids could customize their vehicles. 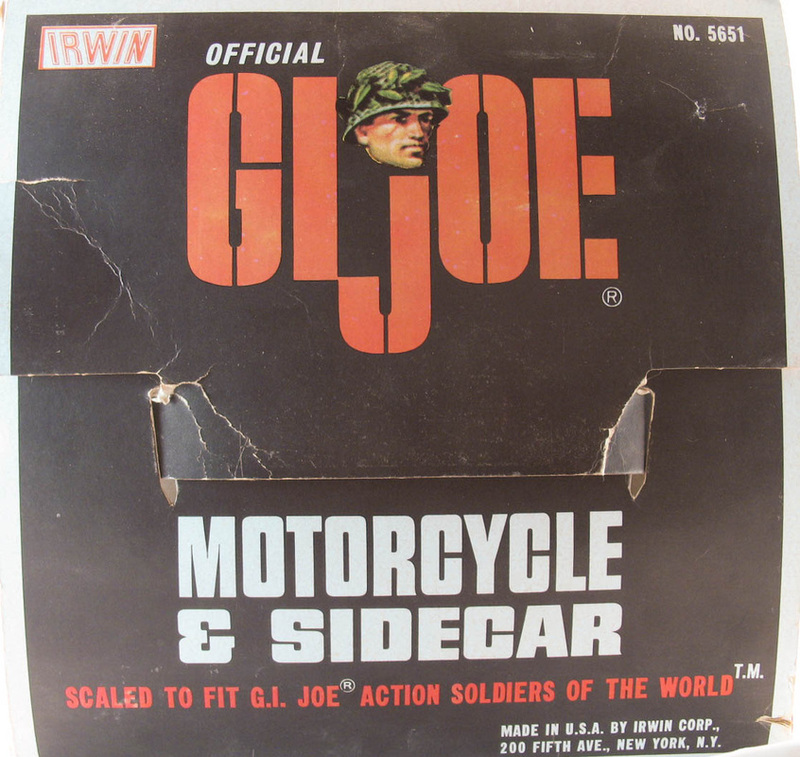 The silver foil Irwin GI Joe sticker came pre applied, and doesn't make for very good camouflage.